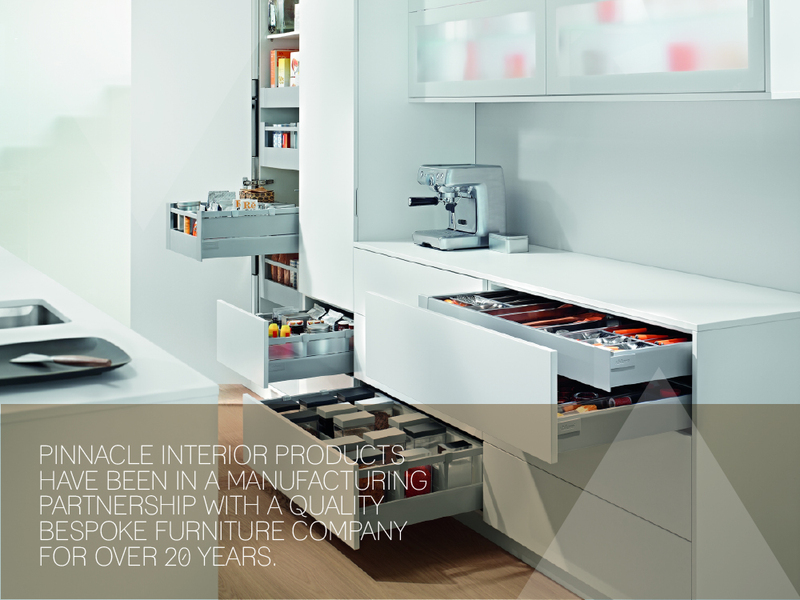 Pinnacle Interior Products have been in a manufacturing partnership with a quality bespoke furniture company for over 20 years. Within the manufacturing premises they use the latest CNC machinery to ensure precision cutting and drilling of all their panels, which are then assembled by hand to create the finished product. All the cabinets are built to order, with an emphasis on quality and reliability, before being carefully packaged and delivered to you by their own transport fleet to ensure the product gets to you in perfect condition. 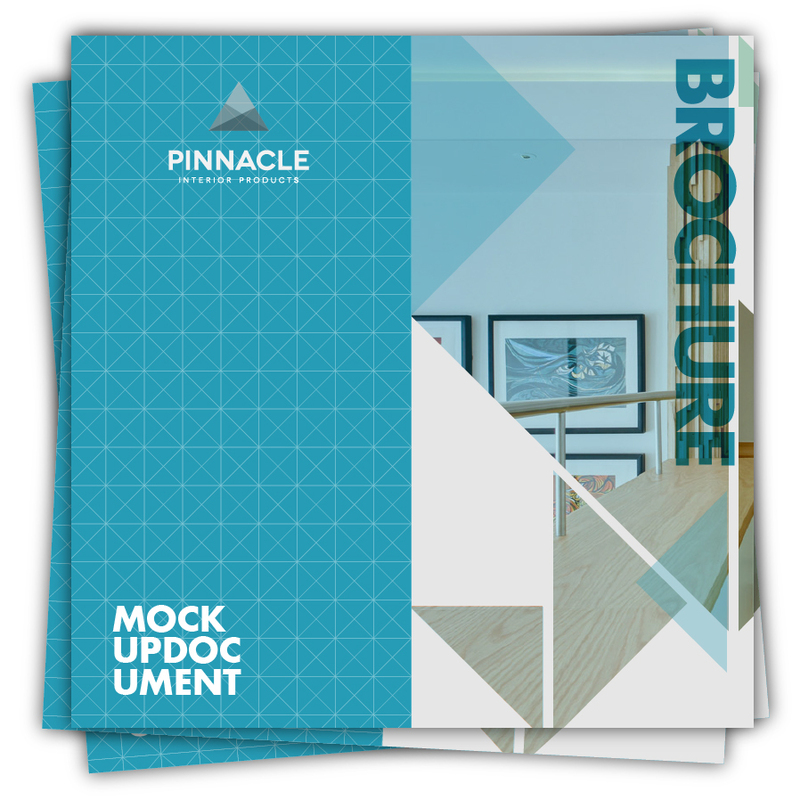 Pinnacle Interior Products offer a comprehensive range of kitchen, bedroom, bathroom and office cabinets, made to any height, width and depth, and in a choice of over 100 colours as standard. 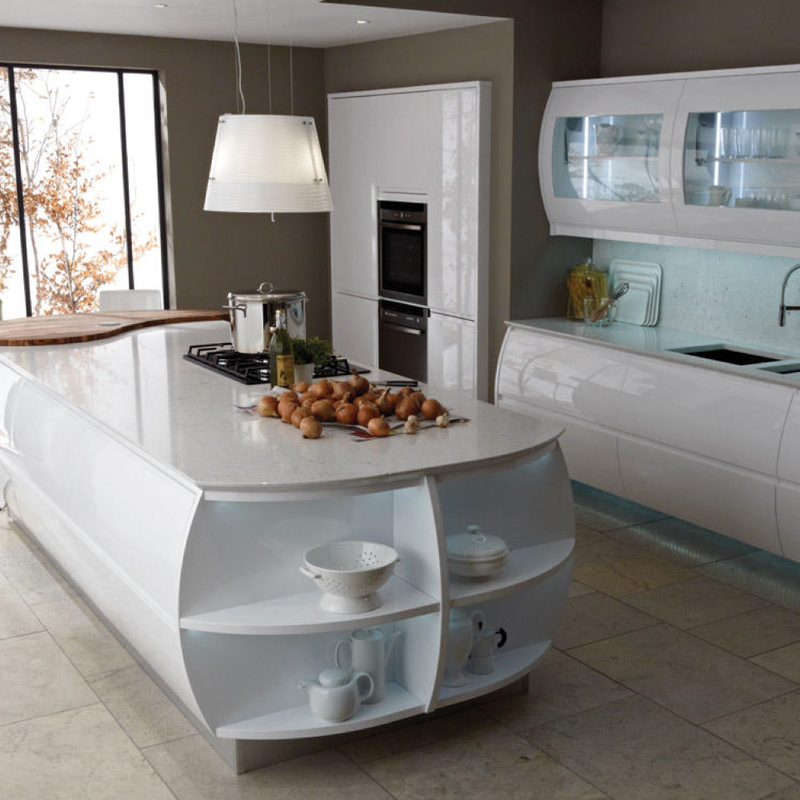 All cabinets (excluding wardrobes) are rigid-built, full 18mm-thick construction (including the back panels), and have the option of melamine or PVC edging tape in either a matching or contrasting colour. 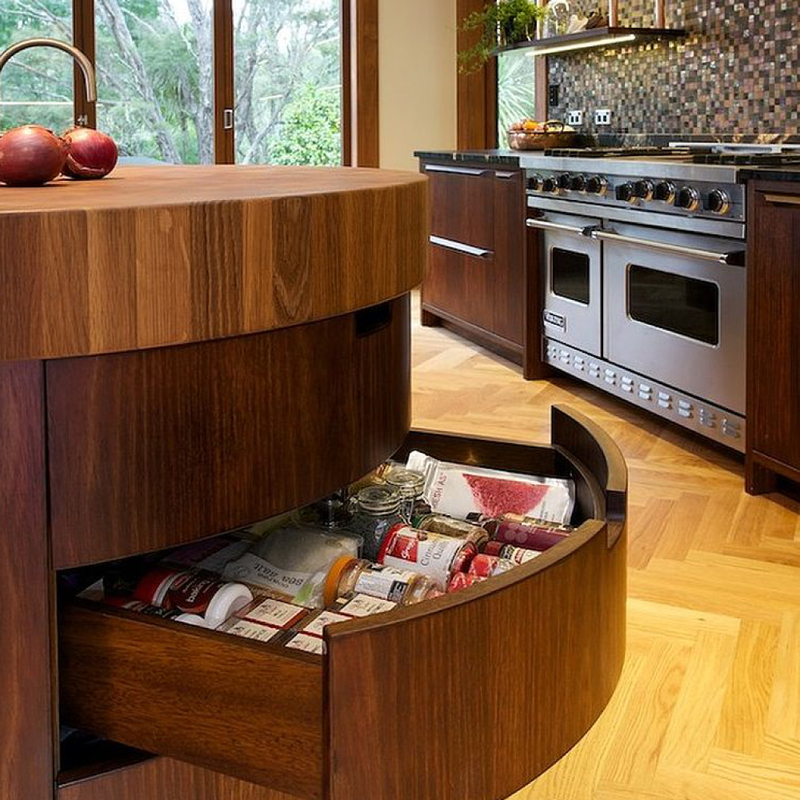 Our product offering doesn’t stop at domestic applications however, and our portfolio includes reception desks, workstations, commercial display units, media cabinets, lockers, or even if it is a one off bespoke piece, if you are a furniture or kitchen designer and have a project that needs special attention then were here at hand to help. While MFC is our board of choice, we can also produce cabinets from MDF or veneered board, ready for painting or lacquering. 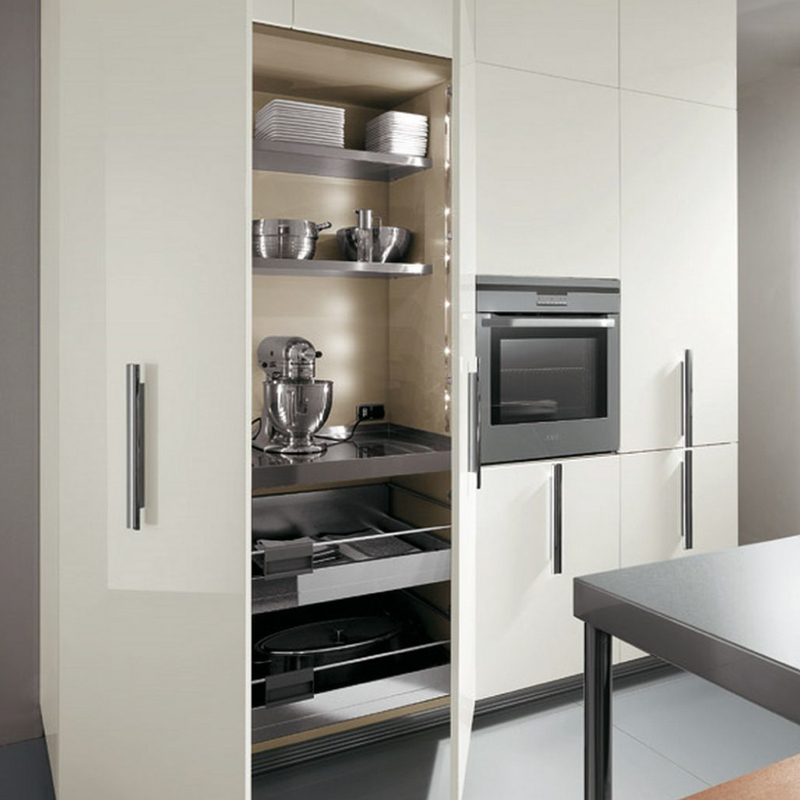 I also offer matching PVC-edged slab doors to provide a complete cabinet solution. 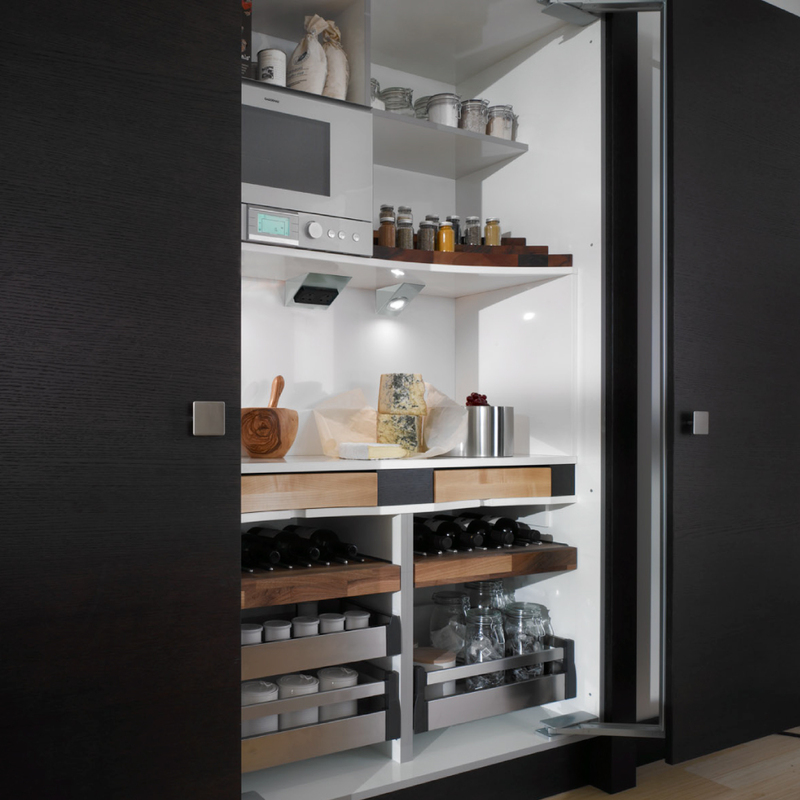 Blumotion Tip Touch – Handle-less doors open with ease at a single touch, providing easy access to cabinet interiors. 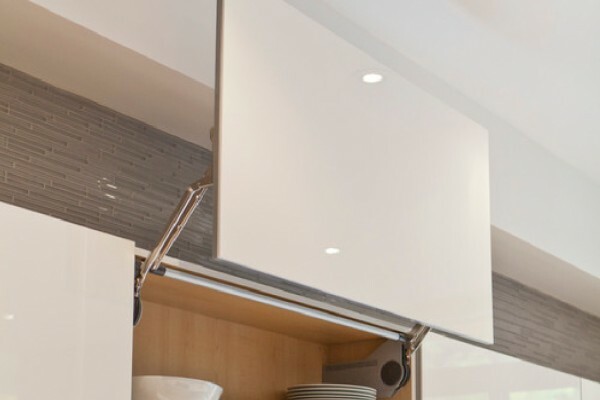 The wide opening angle gives users clear visibility of contents and full freedom of motion. To close, simply press shut. 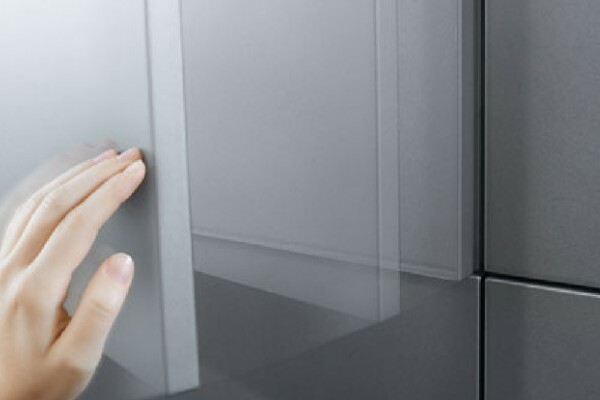 Blumotion Soft Touch – Thanks to Blumotion, furniture closes softly and effortlessly no matter how hard you slam fronts, doors or pull-outs or how heavy they are. 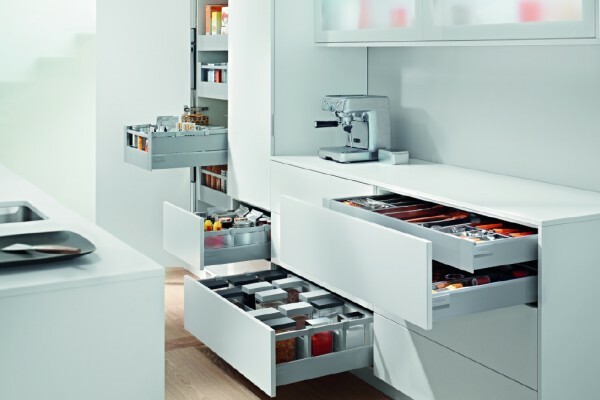 Blum easy access hinge mechanisms – with the Aventos HF lift system , equipped with servo drive electric opening system , you can even open the cabinet with a light touch of your elbow when your hands are full. 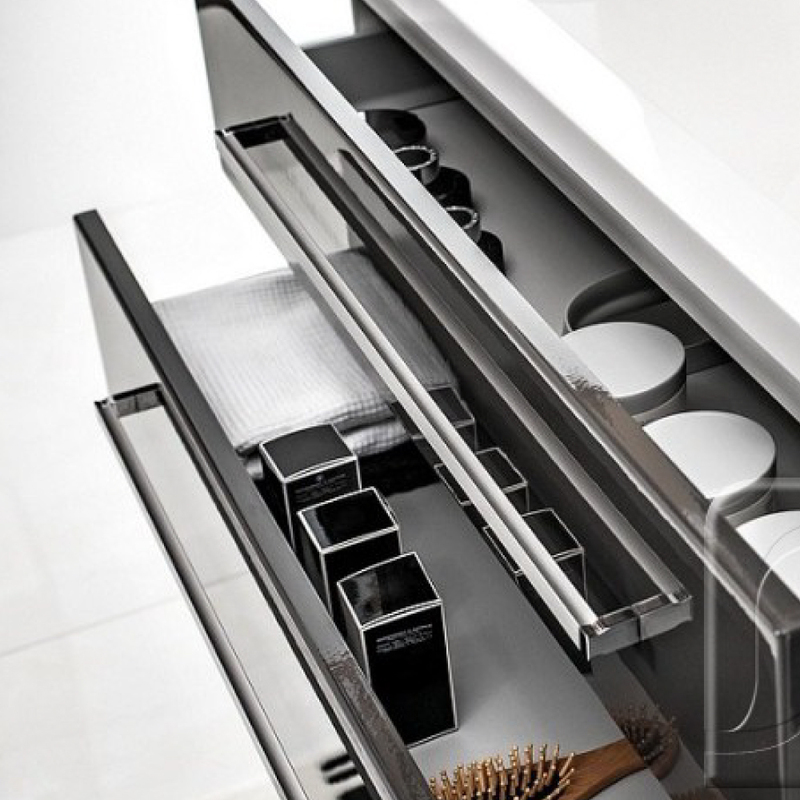 Servo-Drive – In addition to giving users ultimate opening ease and soft close, SERVO-DRIVE also provides many new design possibilities for base units.